As I’ve addressed in a previous blog post, your email list is one of the most powerful marketing tools at your disposal. Unlike social media, where you don’t own your followers and rely on algorithms to serve up your content, your email list belongs to you and allows you to directly communicate with your subscribers. #1 ActiveCampaign supports interest tagging. Have you ever opted into a list or downloaded a freebie, and then received emails that seemed to be tailored just for you? And if you clicked certain links, the content would be tailored even further? This automation and interest tagging empowers us to send you content you’re interested in, and leave you off emails that don’t suit your interests. You, a potential customer, are being sent a variety of different content based on your interests. Many of you have opted in to receive my Networking Event Checklist. You were then sent additional content about networking and why it’s important, and a training video you might be interested in. People who are also on the Kaye Publicity list receive different content than those who only subscribe to Branding Outside the Box. I can create a more engaged following and increase my open rates because I’m tracking what my subscribers are interested in and sending content accordingly. Mailchimp can segment users by activity (people who opened certain emails, clicked on links, etc.) but does not support interest tagging. I can’t pull a list of everyone who’s expressed interest in productivity based on content they’ve downloaded from our site or certain links they clicked. ActiveCampaign supports this. In short: ActiveCampaign has advance targeting and tagging features that allow me to tailor all my content for the individual subscriber. #2 ActiveCampaign supports complex automations. In addition to interest tagging, ActiveCampaign allows me to automate an email sequence, and tailor that sequence based on user behavior. For example, if you’re subscribed to our mailing list, you probably received a notification that registration for The Master Networker was open. If you didn’t enroll, you received follow up emails with additional resources and reminders to register. Once you enrolled in the course, you no longer received those follow ups. You only received the welcome email with all the course information. ActiveCampaign has dozens of conditions and if/when formulas to tailor your emails and avoid spamming people on your list with information they don’t want. While Mailchimp supports automations (meaning, you can set up a series of emails when people sign up for your list, make a purchase, etc. ), you aren’t able to create conditional formatting based on their activity. So while I could send a series of emails to people who downloaded my networking event checklist, I couldn’t tailor the emails based on whether users clicked the link, opened the last email, etc. In short: ActiveCampaign supports complex automations so you can create an email sequence that changes based on a user’s activity. #3 ActiveCampaign is competitively priced. I originally thought that the more bells and whistles a program had, the more expensive it was (companies like InfusionSoft charge $200/mo to have this level of marketing automation). But when I looked into ActiveCampaign, I discovered that it ends up costing about the same price as Mailchimp. For up to 2,500 subscribers, ActiveCampaign is $29/mo while Mailchimp’s monthly plan is $30/mo for the same number of subscribers. 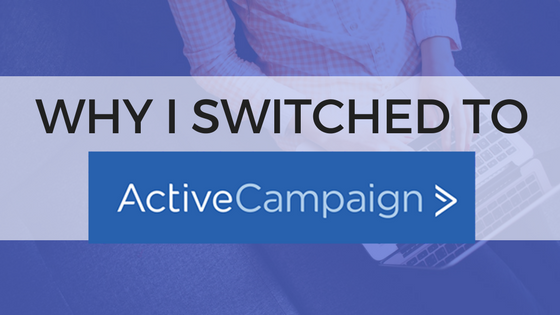 In short: ActiveCampaign has twice the bells and whistles and is $12 cheaper a year. Many of you haven’t hit the 2K subscriber mark yet, and unless you run an online marketing or e-commerce business, then I recommend staying with Mailchimp. But when you cross that 2K subscriber threshold (and trust me, you’ll do it sooner than you think! ), you should take a step back and evaluate your needs. My goal is to send more tailored content to our subscribers and reduce the chance of taking up unwanted space in their inbox. 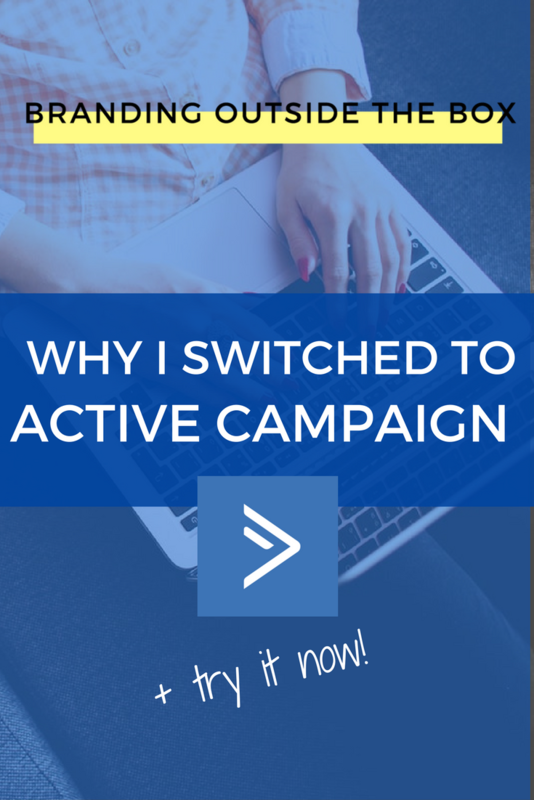 After all my research, ActiveCampaign has proven to be the best option.